Bear Bridge Ranch was started over a decade ago by Tim Randolph. 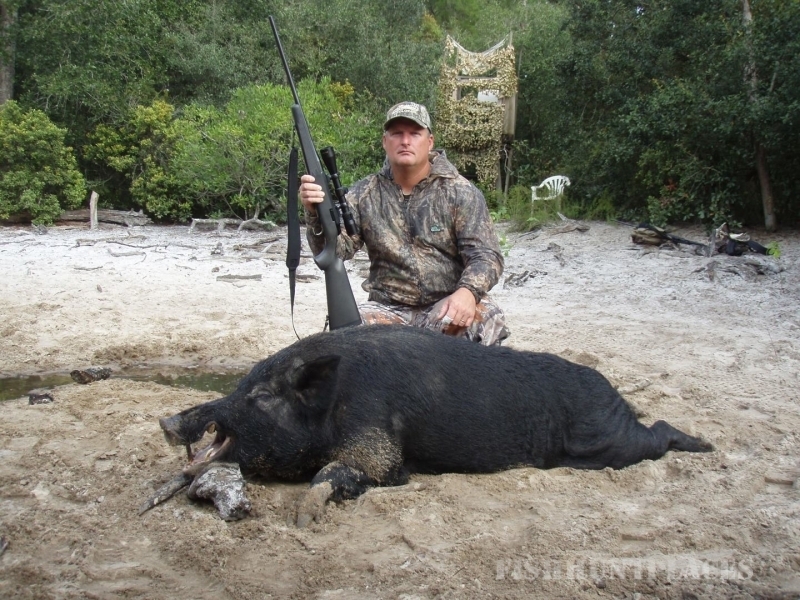 Tim's goal was simple, to create a safe and enjoyable Florida Hog Hunting in Orlando experience for all. We pride ourselves on our family friendly atmosphere. 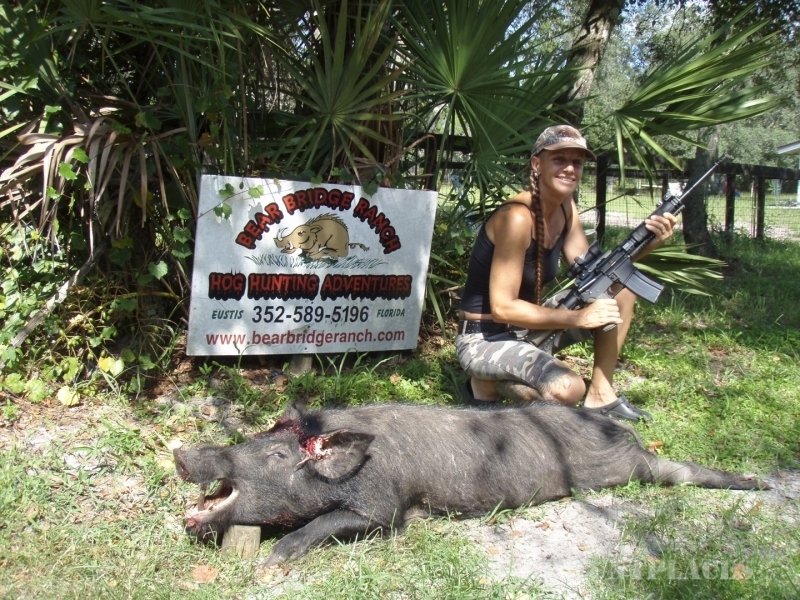 Bear Bridge Ranch is complete with a private house just for our hog and boar hunting guests. 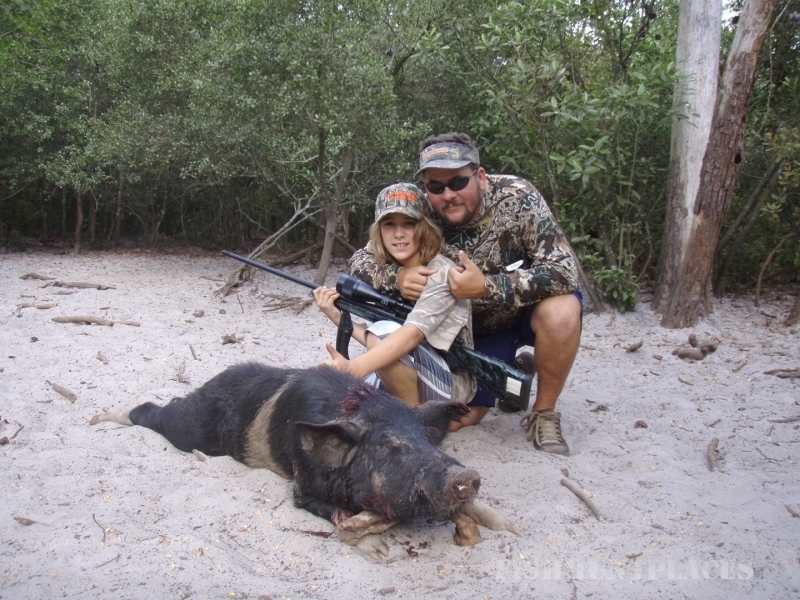 Include a private shooting range and just about every Florida big game species for your viewing pleasure and you will quickly see that Tim has built an unforgettable hunting trips destination. 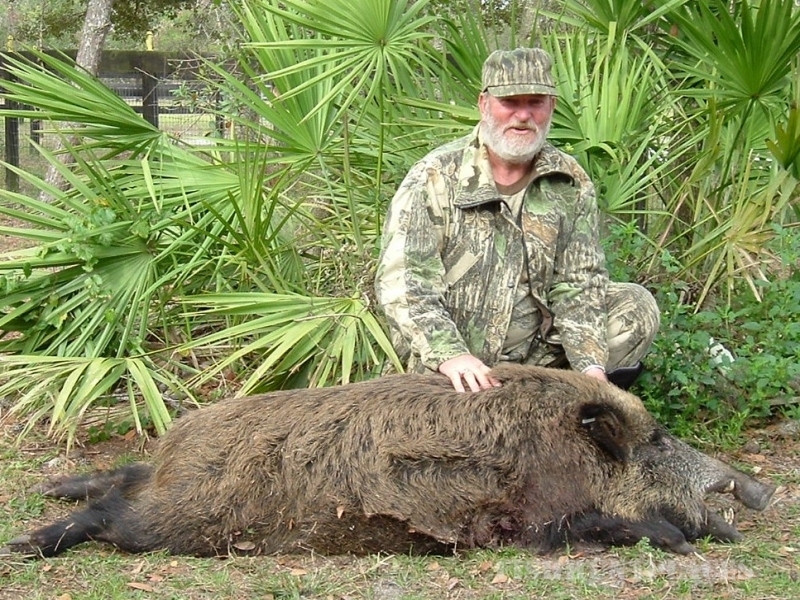 When arriving at Bear Bridge Ranch you will be greeted by your guide and host Scott Maybury. 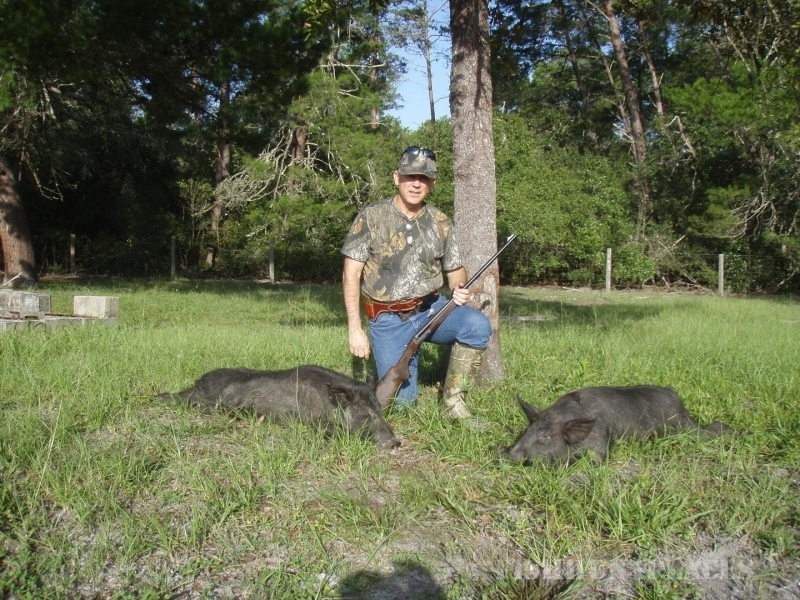 A Veteran of The United States Armed Forces and a seasoned hunter, Scott will provide you with a an overview of the days events and proper shot placement which is critical for a successful Florida hog hunting experience. 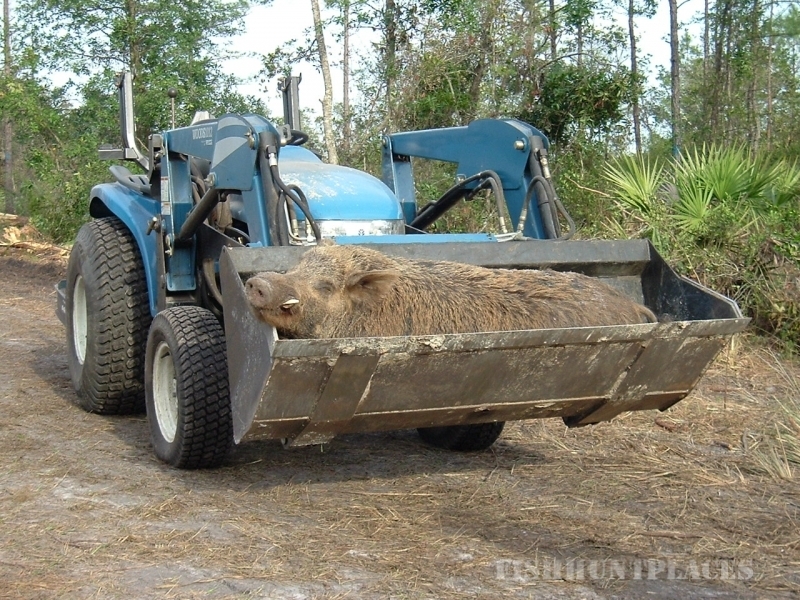 Some of our Florida Boars can reach weights over 500 lbs with shields as thick as 2 inches. 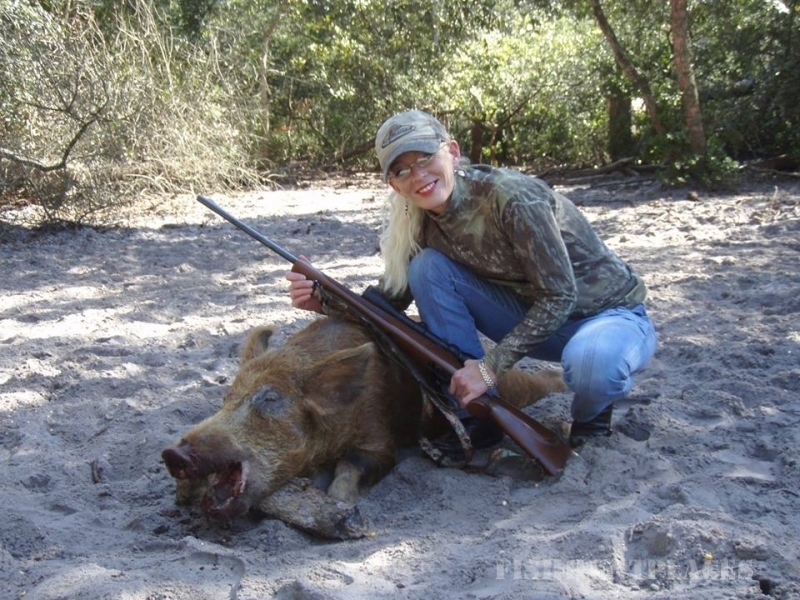 So for your safety and the safety of our staff all weapons are inspected by your guide and sights are checked for accuracy prior to your Florida Hog Hunting experience. Gun rentals are available so if you choose not to travel with your firearm please inquire prior to booking for available rentals. The name Bear Bridge Ranch comes from our very unique bridges that line the property. Bear Bridge Ranch boarders the Seminole State Forest which has a very large Florida Black Bear population. Tim quickly found that the bears do not like fences. Tim developed a unique system for the bears to travel to and from our property over our fences by the use of bridges that he designed and built himself. A safe transition for the bears now exists and is helping to protect our endangered Florida Black Bear population.